Prosthetics is the branch of medicine that deals with replacement or artificial body parts. The provision of a prosthesis or artificial limb is often appropriate after amputation due to a congenital condition, vascular disease, diabetes, cancer or personal injury. At Broad Oaks Health Clinic, we treat people of all ages requiring artificial limbs, including individual fingers and toes. A good fitting, well-constructed, properly aligned and maintained artificial limb is essential for rehabilitation. It will allow you to be comfortable, function to your full potential and help maintain your body image. In our prosthetic clinic we assess your individual needs, provide socket and component recommendations and give you detailed treatment plans. We can then make, supply and maintain your artificial limb. As an independent clinic we source the best prosthetic components and apply the most appropriate techniques from within the UK and around the world. We provide the training and support needed to help you achieve your goals and improve your total well-being. Broad Oaks Health Clinic can supply prostheses for every day, work and recreational use. Waterproof, specialist or sports activity limbs are also available. Your prosthesis can be made to look as natural as possible with the use of silicone technology and artistry. Alternatively, if you want to make a statement whilst wearing your limb it can be finished in carbon fibre and adorned with bespoke designs or tattoos. Medico-legal assessments and reports are available from the clinic. Our prosthetist is an expert witness specialising in amputee rehabilitation. He can produce quantum, joint, supplementary and interim reports for personal injury claims. We accept insurance work, solicitors' instructions and undertake pre-settlement work. For those considering a personal injury claim we can arrange free initial advice by a specialist law firm. If you are already involved in a claim we are happy to arrange an independent review of your case. We can provide constructive second opinions, prosthetic reports and letters, our prosthetist is also able to mediate regarding previous treatments. Our prosthetist offers a mobile service throughout the UK and Ireland for people at home or in hospital. He can visit you at your own limb centre or solicitor's office. Details of local and international transport, accommodation and nursing care can be provided. Language translation and chaperone facilities are also available. The clinic can offer a free initial assessment provide treatment plans, recommendations and referrals to our multidisciplinary team. Our approach is always tailored to your individual needs and requirements. Ozan graduated from the London School of Prosthetics, Roehampton and has over 25 years of experience in all aspects of Prosthetics and Amputee Rehabilitation. He is a successful independent freelance prosthetist and works for both Broad Oaks Health Clinic and his own company Limbstuff Ltd. During his career Ozan was voted onto the Health Professions Council for a five-year term, serving on the Registration, Health and Communication committees. He is now a partner to the Health and Care Professions Council Tribunal Service. Ozan is highly skilled in the prosthetic craft and respected throughout the UK and beyond. At Broad Oaks Health Clinic,he provides a full amputee rehabilitation service and can maintain the most modern or more traditional artificial limbs. 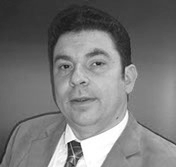 As an expert witness Ozan works within the legal sector. He can provide medico-legal assessments, reports, second opinions, treatment plans and component recommendations for personal injury claims. You can learn more about his services at limbstuff.com.